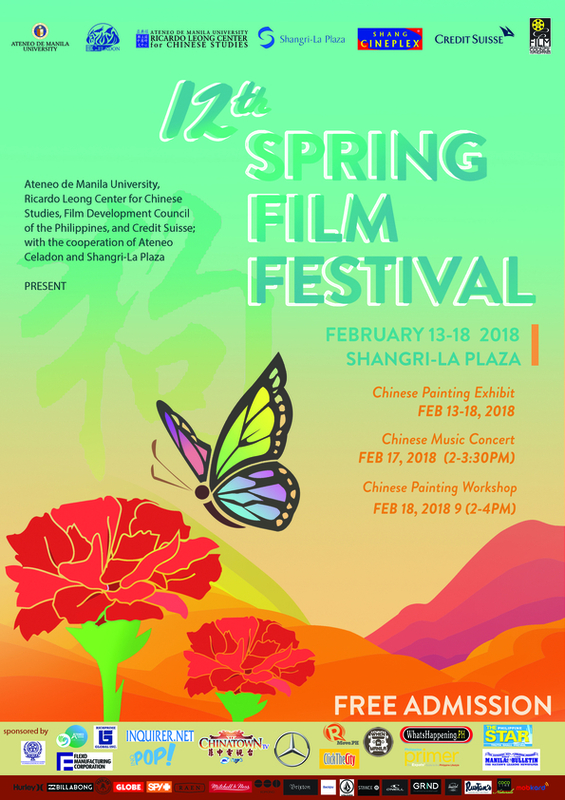 One thing I had always looked forward to during the month of February isn't exactly Valentine's Day (I actually dread that day, sorry), but the annual Spring Film Festival. 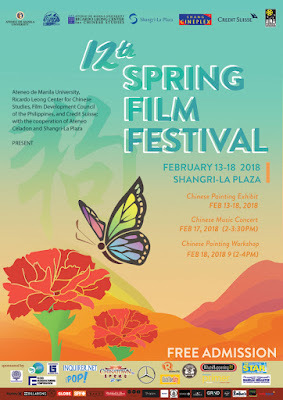 Now on their 12th year, the Spring Film Festival is one of the much-anticipated film festivals happening at the Shang Cineplex. It is participated by many Chinese-Filipino communities. Organized and hosted by the Ateneo de Manila University’s Ricardo Leong Center for Chinese Studies, the Embassy of the People’s Republic of China, as well as Ateneo de Manila’s own CHinese student organization, the Ateneo Celadon. The said film festival aims to bring forth the joys and share the rich Chinese culture and traditions as well as a venue to showcase the artistry of the Chinese films. 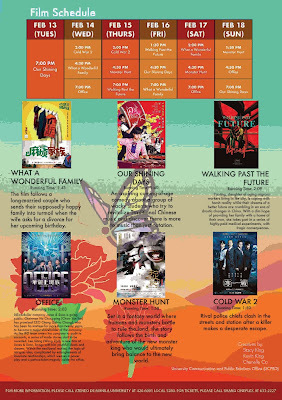 With an awesome line up of feature films, the annual free film screenings will surely be something not to be missed. The said festival has also extended its reach as it will now be held simultaneously in five other cities such as Baguio City, Cebu City, Davao City, Iloilo City and Cagayan de Oro City. They will be featuring six full-length films covering different exciting genres such as comedy, romance, suspense and horror, an eclectic mix that will sure to delight audiences from all walks of life. 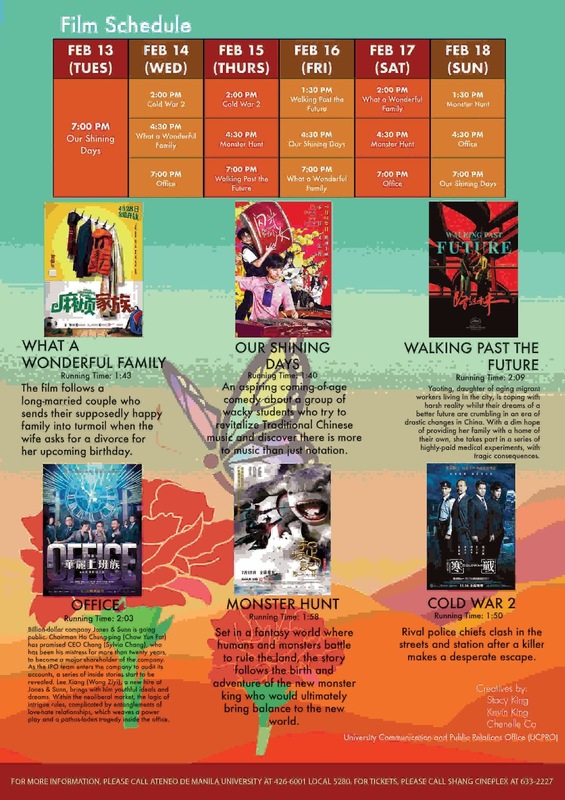 The Spring Chinese Film Festival will be OPEN TO THE PUBLIC, FREE ADMISSION on a first come, first served basis. Among the movies to anticipate with excitement has to be the Cannes Film Festival-screened film called Walking Past the Future. The film which centers on the life of a young woman named Yaoting, who was desperate for money to help her recently jobless parents signs up to be a human guinea pig for series of potentially dangerous clinical trials. Catch a glimpse of the harsh realities of the corporate world in the business-centric musical dramedy Office. It’s a film about a chairman and the CEO of a billion-dollar company going public and the struggle for power that they face. Be awed with a fantasy 3D adventure in the comedy Monster Hunt which is set in the past where humans and monsters live side-by-side and in perfect harmony–that is, until the former drives the latter out of their homes, kick-starting a war like no other. Prepare your tissues for another tear jerking comedy What A Wonderful Family. The story depicts the destruction of a once-happy family when the wife asks for a divorce for her upcoming birthday from her husband, leaving all the wonderful years of their happy marriage life in the dust. Meanwhile, the much-anticipated sequel to the 2012 box office hit Cold War 2 tackles the rescue operation of five hijacked officers of the Hong Kong Police Force and the sacrifices they have to make in order to save themselves and their country. There will also be Chinese painting exhibit and Chinese painting workshop as well as a concert. 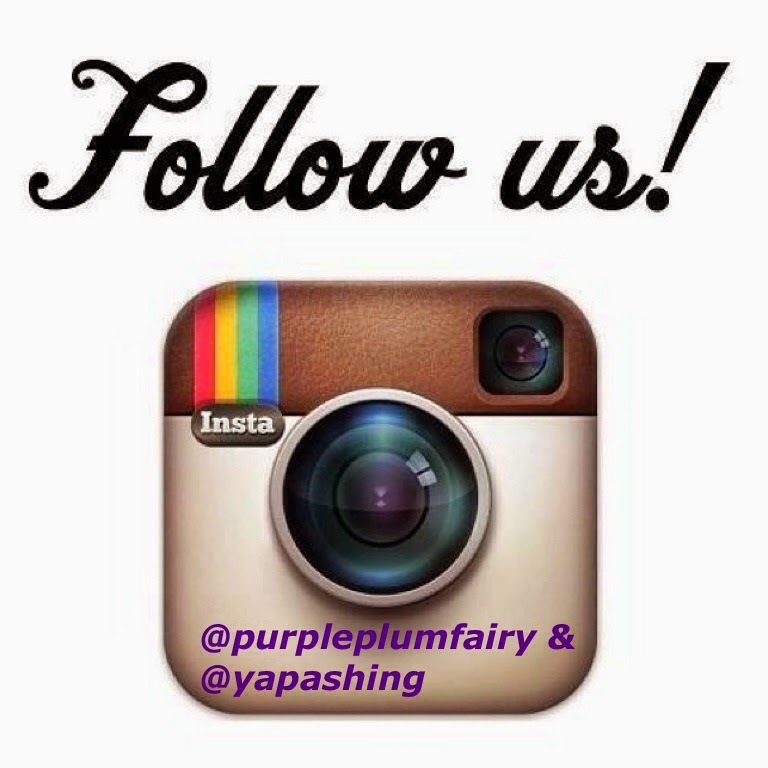 It promises to be fun and exciting for everyone. 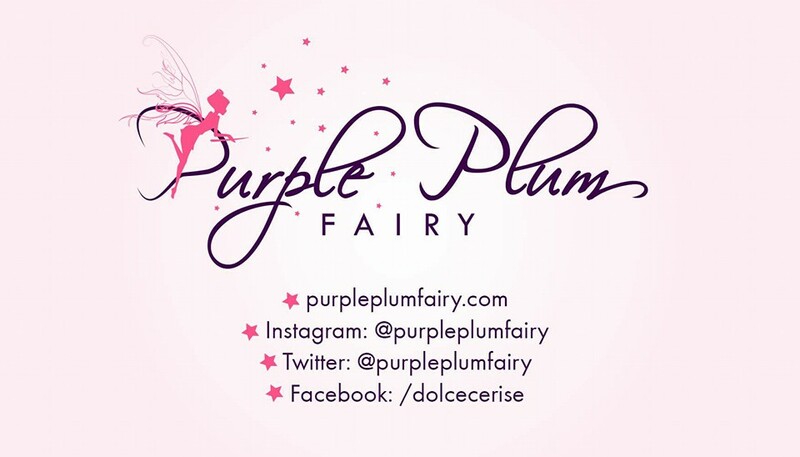 So mark those dates, February 13 to 18 at the Shangri-la Plaza Mall in Mandaluyong City. Truly, with such awesome film line ups for this year, the 12th Spring Film Festival is something you guys should look forward to and dare not miss! For more information, please follow the Spring Film Festival facebook page or inquire at the Ateneo Celadon via ateneo-celadon.org. Should you have any inquiries, please contact leongcenter.soss@ateneo.edu or call (02) 926-5118.